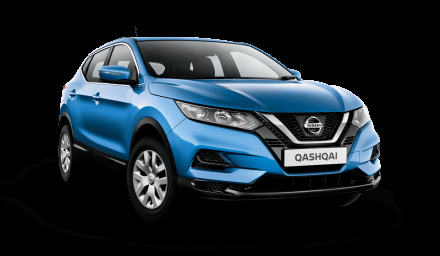 At our Sandicliffe Nottingham and Loughborough dealerships, we offer our Motability customers an exciting variety of Nissan vehicles to choose from. Established in 1978 the Motability scheme was designed to aid people who receive PIP (Personal Independence Payment) or DLA (Disability Living Allowance) in affording a reliable and safe mode of transport by granting government funding to support the purchase of brand-new vehicle. Sandicliffe has since become one of the most trusted Motability suppliers within the East Midlands. The Nissan brand has long emphasised on quality and reliability. Over the more recent years, there has been a big focus on the performance, design and overall driver experience. Nissan continue to grow and improve on design and efficiency, developing the latest in car technology and safety features. There is a wide selection of different shapes and sizes in the Nissan range, ensuring there is a vehicle suitable for everyone. As well as this, Nissan are also pioneers in Electric vehicle technology, leading the way with the popular Nissan Leaf. Not only is this great for the environment it also results in low cost ownership for you. Overall, Nissan offers great value for money with high quality vehicles at affordable prices and running costs. 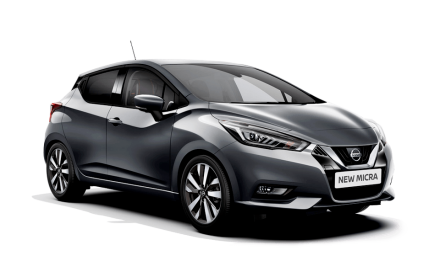 Motability Car Adaptations are available on most Nissan models, the adaptions can aid driving, steering, sotwage and access. If you are unsure about which Adaptions would be suitable for you, you can talk to Sandicliffes’s Motability Specialists for more advice and information. Due to their experience and knowledge our Motability Specialists can guide you through the different Adaptions available and arrange for these to be fitted to your new vehicle before collection. Sandicliffe was founded in 1948 and we have lead the way in Motability since the scheme was established in 1977, therefore we have a great experience and knowledge we love to share with our customers. At Sandicliffe, great customer service doesn’t stop at the showroom doors, we are hand at any time to help you with advice and aftercare. Not only does the Motability Scheme cover the majority cost of the vehicle, it also covers servicing and repair costs. We understand that annual servicing can be a bit of an inconvenience if you require assistance to drive, so if required, we will arrange for your vehicle to be collected from your chosen address and delivered back by the end of the day. We can also provide a courtesy car free of charge. After three years of ownership the vehicle in most cases will be handed back to Motability and you exchange your vehicle for a brand new one, this means you don’t have to worry about getting the vehicle and MOT. In the unlikely case of breakdown, Motability provide a 24-hour assistance and recovery service, including European cover and Home Start, so you can travel with peace of mind. The Motability Scheme has been designed around the customer in every sense, the application process is simple and ownership couldn’t be easier and more enjoyable. So why wait? If you think you could be eligible call us today or drop by to your local branch in Nottingham or Loughborough for further information on how you could benefit from the Motability Scheme.